Spring has finally sprung, and summer will be here before we know it. I am looking forward to sunny days, warm temperatures, and most of all, backyard BBQs! 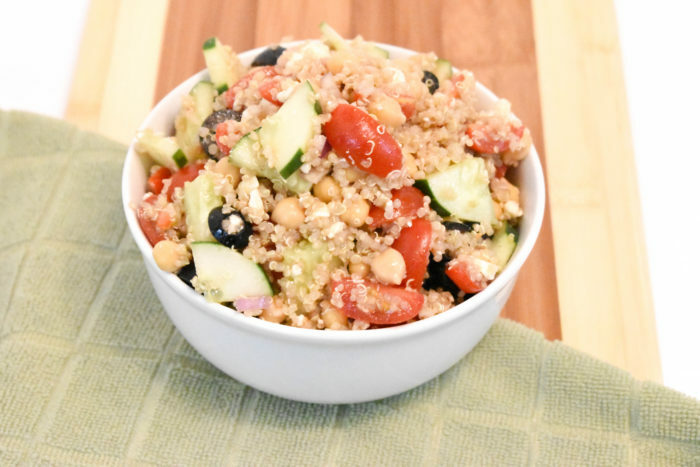 I can’t wait to get everyone together for a potluck of delicious summer salads and sides, and this Mediterranean quinoa salad with feta and olives will most definitely make the menu. It’s chocked full of delicious and healthy ingredients, yet tastes so good, you would never know just how good for you it is! 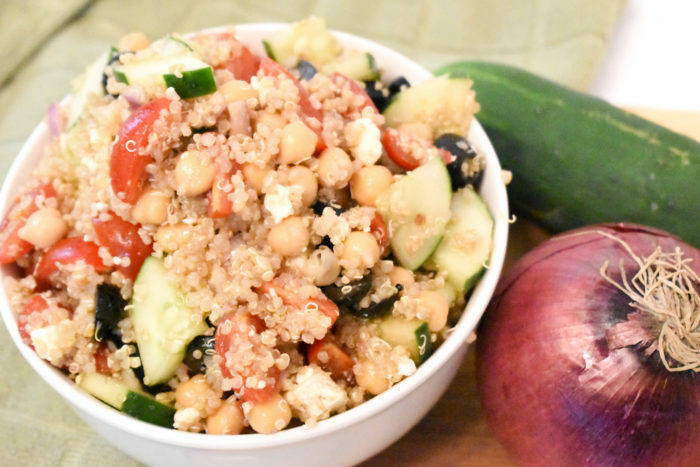 This Mediterranean quinoa salad with feta and olives is such a great one for summer because it doesn’t require much cooking (aside from the quinoa), and takes just a few minutes to whip together. 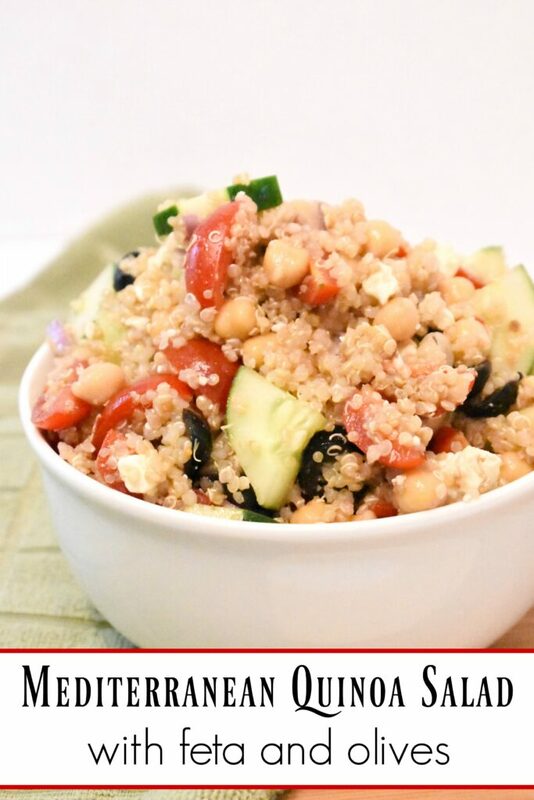 In a large bowl combine your veggies, feta and quinoa. Pour your dressing over your veggies and quinoa and stir until everything is well coated. Many people have questions when it comes to quinoa, so I thought that I would answer some of the commonly asked questions, and provide some clarification for you. 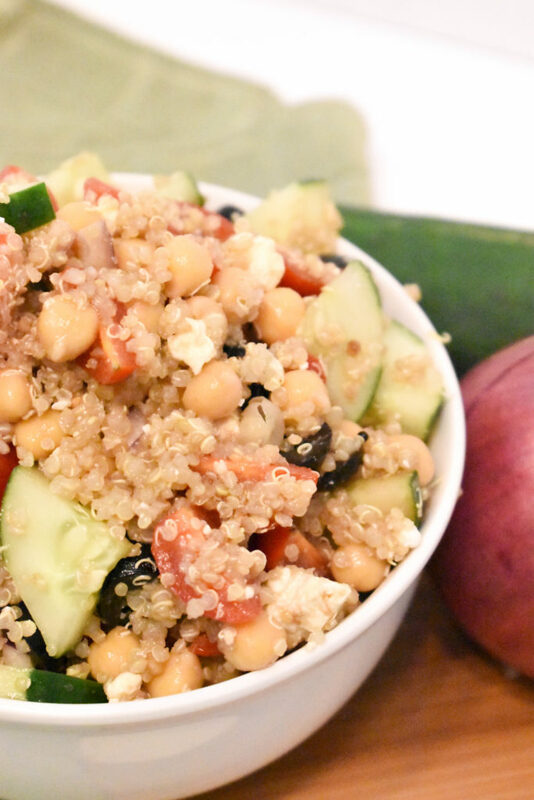 Quinoa is very healthy and nutritious, since it is rich in antioxidants, fiber and minerals. 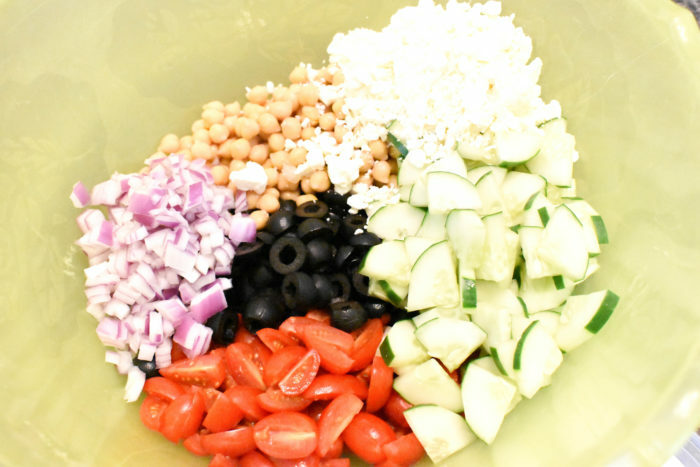 As long as you’re including other healthy ingredients into your quinoa salad, such as veggies, then quinoa salad is a healthy option. Quinoa is a complete-protein source, providing twice the protein content of rice or barley. It’s a good source of calcium, magnesium and manganese, and also contains nine essential amino acids. Does quinoa make you fart? Yes, quinoa can make you a bit “gassy” because it is filled with proteins, sugars and carbohydrates that your digestive system might not be able to properlky digest. This can lead to inflammation of your abdomen, causing gas.